Enjoy the flexibility of booking your own appointments from any internet enabled device at any time with Skyline's Mobile Booking. 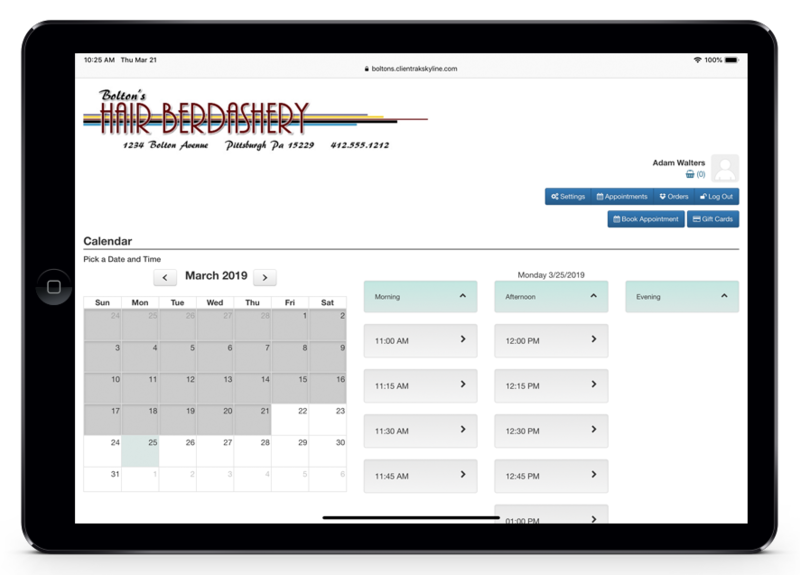 You and your staff can view, book, move and delete appointments when away from the front desk. 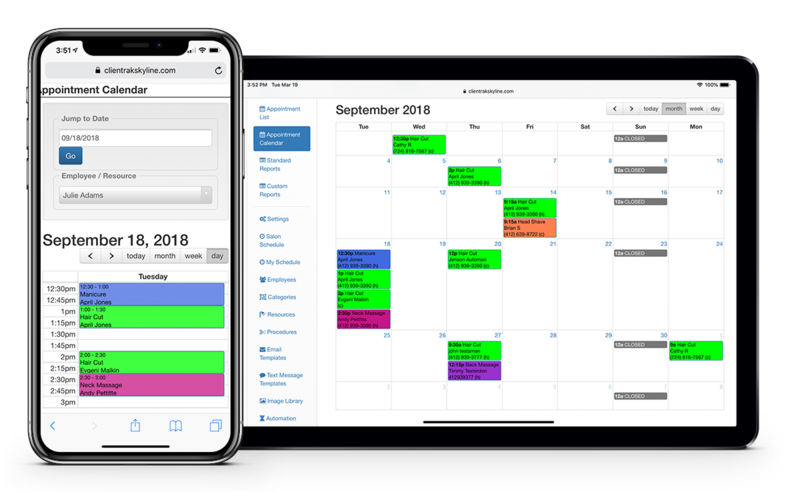 Give your clients the convenience to book their appointments 24/7 with Skyline's powerful and customizable Online Appointment Scheduler. 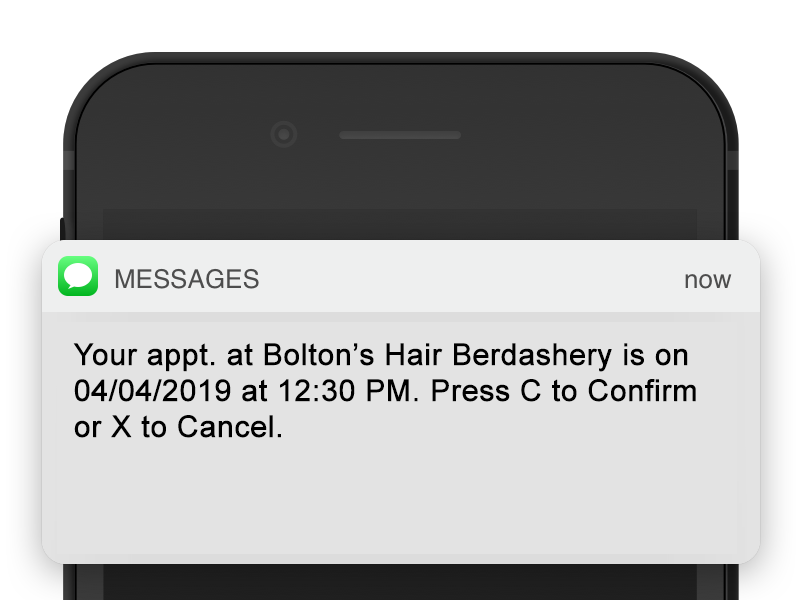 Reduce no shows with Skyline's Text and Email Appointment Reminders. Send as many reminders for the same appointment as you want.